Savant designs, develops and manufactures a complete set of integrated solutions. These solutions showcase reimagined control, automation and entertainment. Experience familiar, modern, uncluttered, personalised, intuitive and oh-so satisfying Savant smart home! 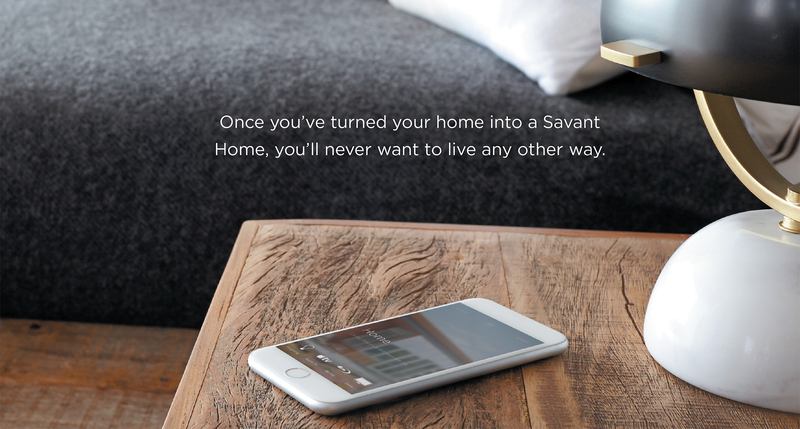 The new Savant home automation app allows users to personalise homes with a single tap. It is available for Android & iPhone, allowing you to control various systems at home. These include lighting, entertainment, climate and security systems. The Savant app is smart enough to learn your preferences and the services you interact the most. As a matter of fact, it identifies your personal taste and tailors your home to your lifestyle. SMARTHOMEWORKS is an authorised Savant installer. We are experienced and ultimately known as home automation specialists. We’re ready to reveal the new possibilities of what a custom Savant installation can do for your home. Been developed based on Apple technology, Savant home automation ensures high-level platform. This allows you to build a Smart Home using both reliable and flexible automation system. You can expect simple integration of your Apple products and home automation system. This platform furthermore reflects the Apple attitude of clean and user-friendly design. Savant assures to provide you a well-integrated system. As a result, enabling you to control all aspects of your smart home environment. The components of the Control System are compatible and expandable across the board. So if your needs vary, you can upgrade your system without needing to replace components. Identifying the things that you need to automate is the first step in converting into a smart home. The next step is to research about what technologies are available out there. Determine which ones can provide the solutions designed for your home automation needs. Savant’s smart home technology combines both simplicity and elegance. It has been one of the most recommended home automation technologies since 2005. Turning your home into a smart will make it ultimately and arguably luxurious. Apple-based Savant systems are ultimately reliable, flexible, and classy solutions. It enables easy and efficient virtual control over your home appliances and electronics. Using an iPad or an iPhone, controlling home systems is possible even while you’re not at home. Expect an easy integration, clean and user-friendly design with Savant platform. With Savant automation, you can customise your smart home to match your lifestyle. You can set the time you wake up every morning, to give you a fresh start during the day. You can leave home without having to worry whether you turn off all the electronics before you left or not. Simply tap a button from your smart phone to tell your smart home that you’re away, and then voila! It turns off the lights accordingly and other appliances for you. You can also set the atmosphere (or “scenes”) in your home — whether you want to dim or brighten the lights. You can even make the temperature warmer or cooler, or prepare the hot tub. In addition, you can customise your TV to play your favorite show! There is a solution for almost every smart home needs with Savant’s home automation systems. Savant home automation delivers an array of applications and services. These include home control, multi-room audio and video automation, intelligent lighting, climate control. It can ultimately provide digital media server jukebox, telephone, intercom and security control. You can manage your air-conditioning, door and window latches control as well and more. Simple yet elegant – this surely describe Savant home automation system. It has a hub, a sleek touchscreen remote, and a lamp control device. These can connect and communicate over WiFi. And because the remote works via bluetooth, there’s no need to point it to a specific direction for it to work. Use the remote to control your entertainment systems, lighting, and climate. All these are actually possible over voice control. The fun part is that you may use your Apple smart devices as a single remote control using an app! With this, you can access and control almost anything at home using your Apple device. 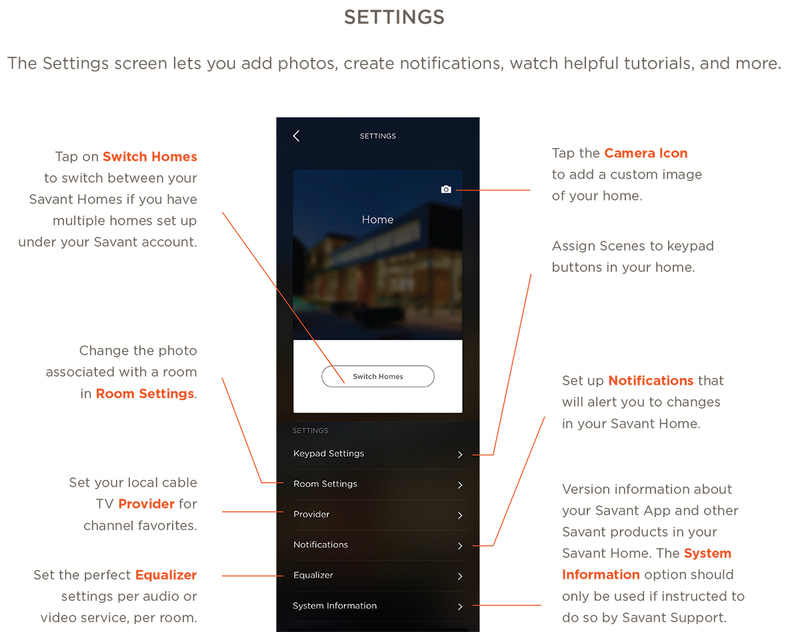 Instantly create and customise profiles for everyone with Savant home automation system. You can either grant or limit access to users so they can enjoy Savant while they’re at home. Knowing that you’re in control ultimately provides security to every homeowner. Nothing’s more important than ensuring your place and loved ones are ultimately safe. Certainly, Savant home automation gives you peace of mind as your home’s security is within your reach. 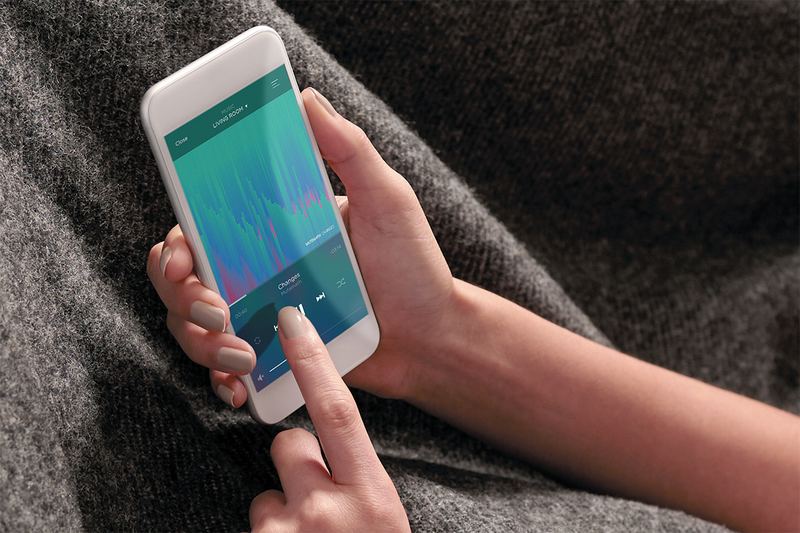 With Savant, you can close the shades, lock the doors, and set the alarm whenever you leave. You can check your security cameras to keep an eye on everything wherever you may be. Moreover, you can create different settings for a lived-in look to your home. Make your house similarly look like it is manned even while you’re gone. You can actually speak to the guests outside your gate or door via intercom before you let them in. As a result, this allow you to track and control your abode to ensure security and safety. Choosing a home automation system can be really challenging. Of course it really depends on what you are looking for. The following is a comparison of Savant vs. Control4 and Creston. This includes price range, systems, customisation and installation respectively. First, let’s discuss Creston. Creston has the highest customisation ability. For this reason, it requires a higher level of programming. This kind of programming must be done well to provide the users with key benefits. However if done poorly, it can make system operations really complicated and challenging. Furthermore, the price point for this smart home system is quite large. Control4, on the other hand, is an entry-level platform. It offers the simplest technological functions in home automation. It provides on-screen display which allows you to use your TV as a navigation tool at the same time. The price is at the lower range, thus, reasonable for the functionality that it provides. Savant automation technology combines both simplicity and class. Its system is Apple-based, making it the best option for Apple smart device users. It is customisable to suit your lifestyle. It provides an easy-to-use platform and upgradeable system. But why not, right? Savant automation can make your home look undeniably luxurious at a reasonable price. Aside from all its features, the company has good customer resources. Therefore, allowing users to understand how the system works. They also offer direct customer support to ensure you get the best Savant experience. The Savant Home Automation System is an elegant automation option that essentially controls your whole home from a single app. Click here to read our case study on a recent Home Automation System set-up we did using the Savant Home Automation System.